The ASL Art Exhibition 2019 is an exhibition of visual arts, running from June 30 through July 3, 2019 in San Diego, California, during the American Sign Language Teachers Association’s national conference. 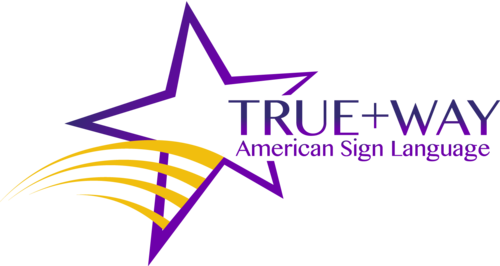 The conference is now seeking for artwork that shows American Sign Language within Deaf Culture. The artwork should demonstrate the artist’s knowledge and experience with ASL and the Deaf community. Show us what ASL and Deaf community means to you! There are three types of entries (To enter, there is no charge to the artist for entering an art piece to be reviewed and judged for selection). Upon selection of the art piece, the juried artist will be asked to donate the original artwork that must be valued at $500 or more and sized at least 16 X 20, an original artwork created by a Deaf artist. Any sales artist make are 100% to keep, artist handle own transactions. Here is the list of what will be included for the juried artist to meet the $500 value. 10 limited edition prints of original artwork at your own price & any sales artist make are 100% to keep, artist handle own transactions. Upon selection of the art piece, the juried artist will be offered a 10X10 booth display space at the ASLTA Conference for a price of $150. Any sales artist make are 100% to keep, artist handle own transactions. Upon selection of the art piece, the juried artist is expected to drop or ship the art piece (the artist is responsible for all the costs) to the ASLTA Conference. If the art piece is not sold, the artist is responsible for the pick up or the shipment of the art (the artist is responsible for all the costs) otherwise it will be donated to ASLTA. Any sales artist make are 70% to keep, 30% of the sale directed to the ASLTA. ASLTA handle transactions. All the entries are due on March 1, 2019. Selection Process: Submissions will be reviewed by The ASL Art Exhibition Chair Jon Savage will screen for appropriateness, quality and sizing of the submissions. The submissions will be judged by appointed judges from ASLTA. The appointed judges will be announced in early 2019. Upload Requirements: Photo of the completed artwork to be uploaded at 300 dpi and jpeg. Please feel free to contact us at artaslta2019@gmail.com if you have any questions about submitting your work to the event.